Since 2007, more than 52,000 parents and caregivers have participated in our programs throughout Greater Boston and New York—to the benefit of more than 131,000 children. By making a donation, you will not only be helping families in your local area, you will also be supporting our replication program, which is making our programs available to vital human service agencies and organizations nationwide. Parenting Journey (formerly The Family Center) has demonstrated that parents can be their own healers. Even the most overwhelmed parents can tap hidden springs of resilience and discover their own competence and hope; the most disruptive children can thrive when security and support provided by parents replaces chaos and inconsistency in their lives. Families can change, and with them, communities can become more productive and vibrant. By supporting Parenting Journey, you can become a vital part of building your community by strengthening families. Please help these parents by making a donation now. The gift you make can mean a world of difference in the life of a child. 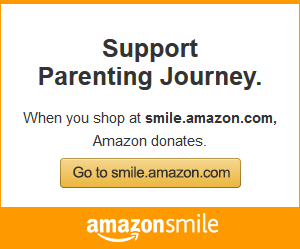 Parenting Journey is a 501(c)(3) nonprofit organization (Tax ID: 04-2771011). Your contribution is tax-deductible to the fullest extent allowable by law. An honorary gift to Parenting Journey is meaningful and special way to recognize a family member, friend, or colleague. An honorary gift is a wonderful way to celebrate a birthday, anniversary, or other momentous occasion. When you a make your tax-deductible donation today, we’ll send your loved ones notification of your thoughtfulness and gift in their honor. For more information, contact Duncan Remage-Healey, Managing Director of Institutional Advancement, by phone at (617) 628-8815 ext. 234 or by emailing him directly. Memorial gifts are a wonderful way to commemorate the life of someone close to you, or to express your sympathy. If someone has made a difference in your life, honor them by making a difference in the life of another. Parenting Journey will send notification of the memorial gift to the next of kin. In addition, memorial gifts are listed in Parenting Journey’s Annual Report.